Glutted with ‘theme’ Durga Puja in and around Kolkata for the last few years? Needa break, a return to tradition fused with a contemporary touch? Then head to Santiniketan, the most unlikely location for a Durga Puja, that is ready to greet you with a Puja which is unique and one of its kind. 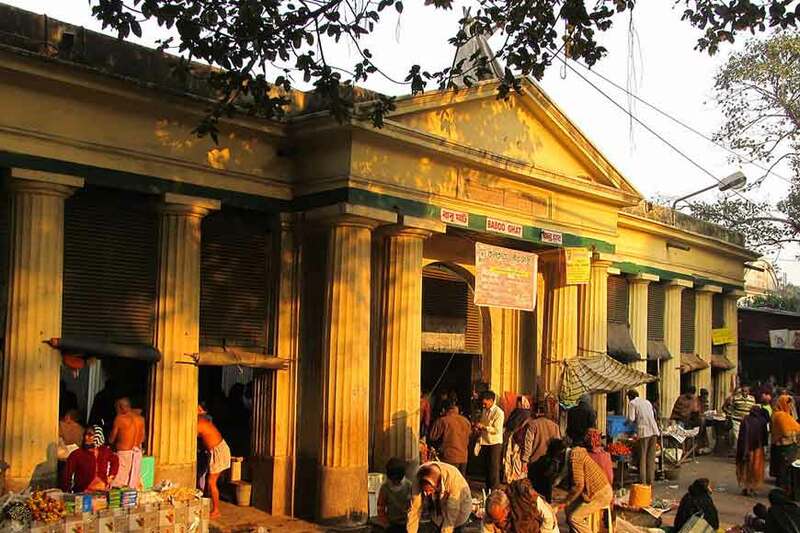 Synonymous with Tagore, Santiniketan is a pilgrimage of sorts for the Bengali traveller. Apart from the association with the Bard and his ‘Vishwa Bharati,’ Santiniketan mesmerizes us with the bounty of nature. 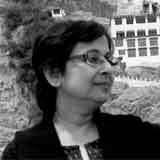 There is no denying that its pristinebeauty today has largely been depleted due to gross urbanization.Still it holds its age-old charm through its festivals and fairs. 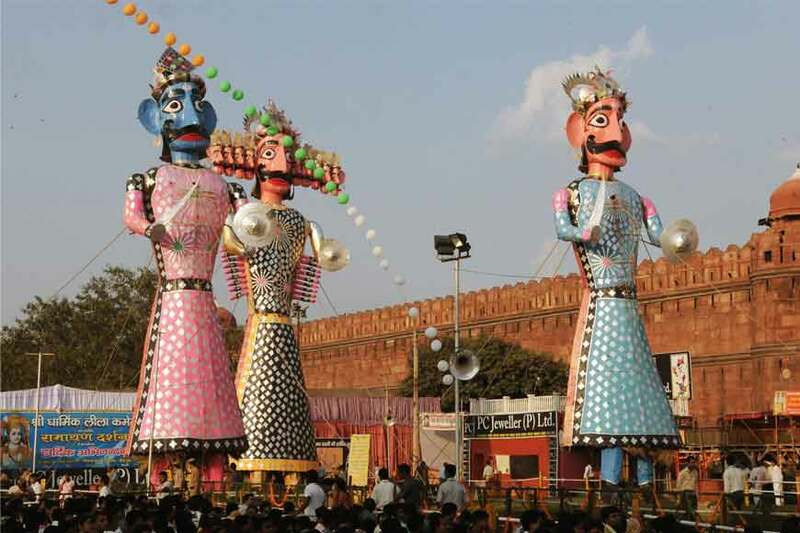 Though the fervor of Bengal’s greatest religious-cultural festival, the Durga Puja, has always been somewhat absent in Santiniketan since its inception,yet there is one community Durga Puja which draws a sizeable number of people from far and near, every year, including tourists from Kolkata and other parts of south Bengal. 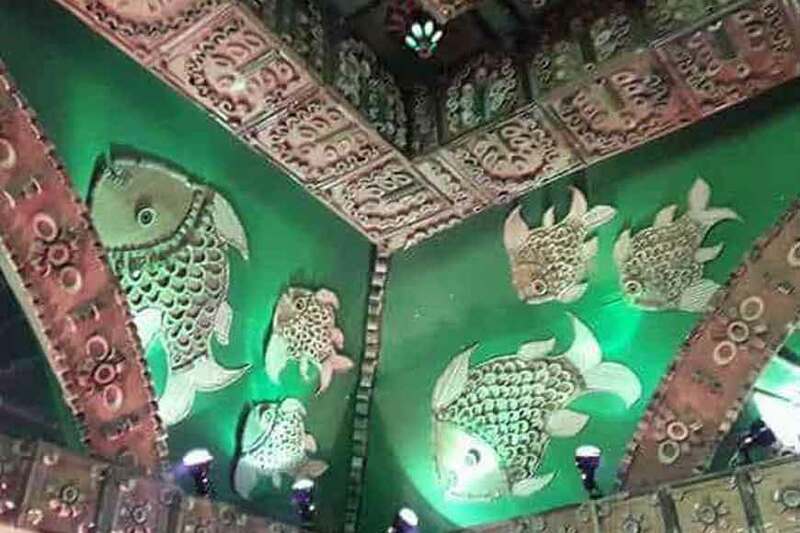 This Puja, known as ‘Bandhan da’r pujo’ is actually ‘Hiralini Durgotsob’,conceptualized and initiatedby the late Bandhan Das, artist, sculptor, a Government Art College alumnus and teacher who had settled in Santiniketan. 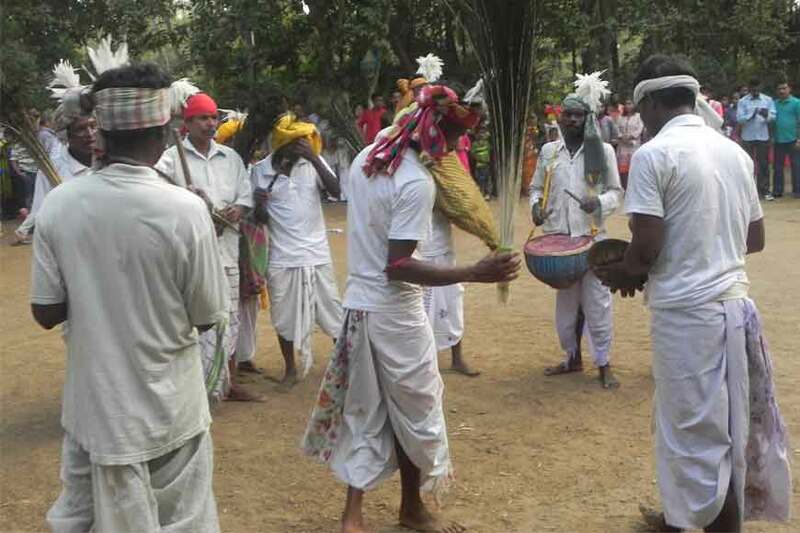 This Puja is held in a tribal hamlet named ‘Bonerpukurdanga’, Ballavpur, wherehe had built his home. ’Hiralini’ is named after his mother Hira and father Nalini Das. Das had begun this Durga Puja in 2001, but unfortunately, he passed away in 2002.This untimely demise did not stop the Puja and the legacy has been ably carried on by his sister Chitra Ghosh, brother-in-law Ashish Ghosh (an artist himself) and a few of his students, including Partha Dasgupta. What makes this Puja stand apart is the idol. 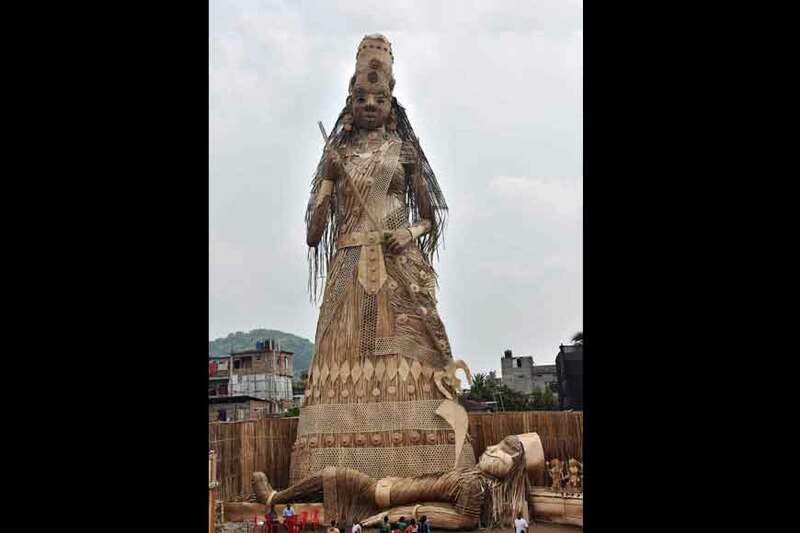 The striking feature is that Goddess Durga does not hold a single weapon in any of her ten hands. And the Asura here is a symbol of peace.The first idol was made of terracotta in 2001.In 2002 Das used wood to make it.It was an iron idol made after his death in 2003 and in 2004 they came up with a beautiful bamboo idol. In the fifth year a clay idol was made. These are never immersed. According to his wishes these five idols are worshipped by rotation, every year. 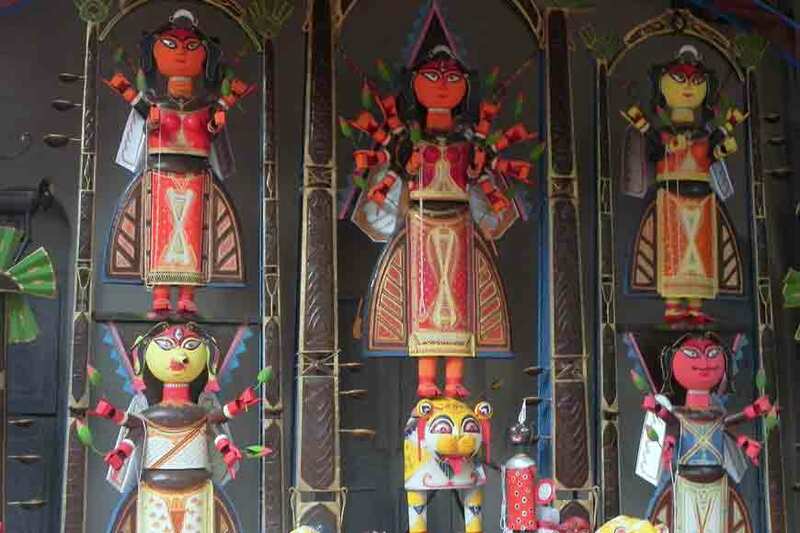 The artisans of this Puja assemble mostly from the nearby Santhal villages. 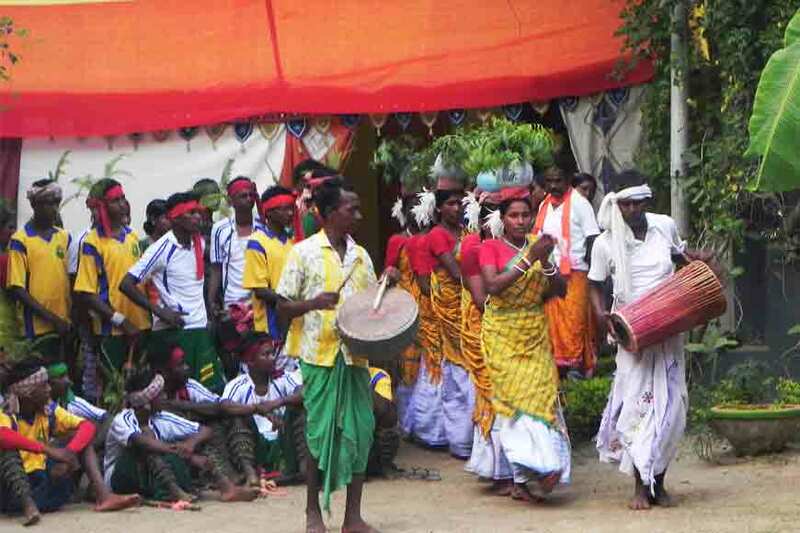 Often tribals from Dumka also participate in the festivity—from the setting up of the pandal to the making of the idol and the song-and-dance performances—all done free of cost.This Durga Puja becomes their very own festival, close to their heart. 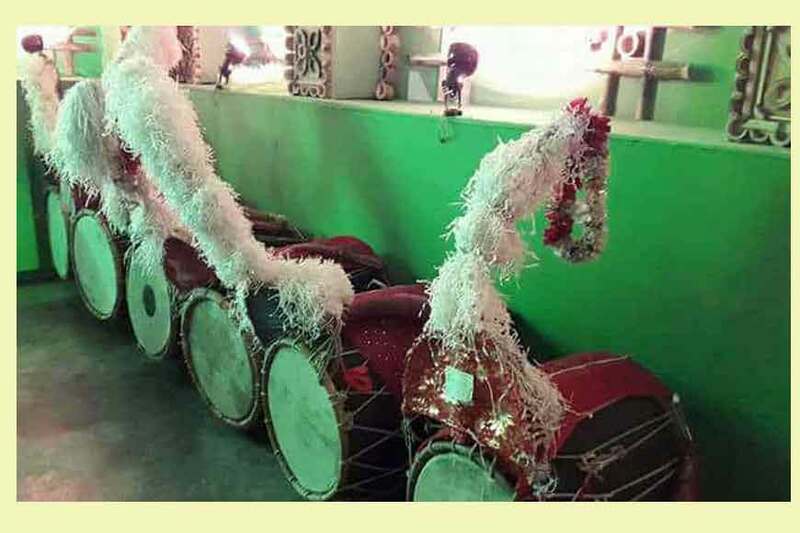 The annual homecoming of Goddess Durga and her children is observed in the characteristic folk ethos which is more of a celebration rather than worship. Hiralini Durga Puja lacks the pomp, glitz and glitter of the Kolkata Pujas but strikes a deep chord with its simplicity and inclusiveness. When the whole of Kolkata turns into a veritable art gallery with its ‘themes’ (sometimes bordering on the weird!) 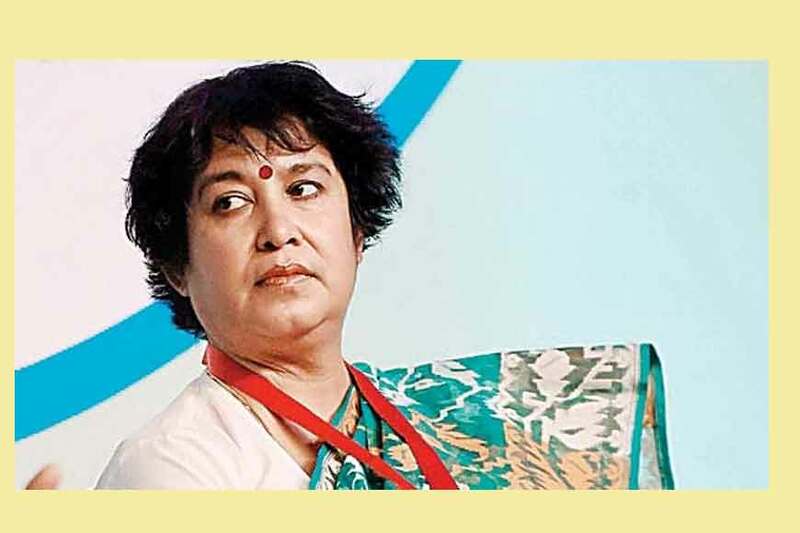 and Puja organizers vie with each other for awards and honours, when the simple, soulful Pujas of the past have become a grand spectacle, the Hiralini Durgotsob at Santiniketan comes as a pleasant, refreshing change, a breath of fresh air.